Beads - almost universal material for needlework, from it you can do a lot of different things, from jewelery to stylish interior decorations such as paintings or beaded bonsai . 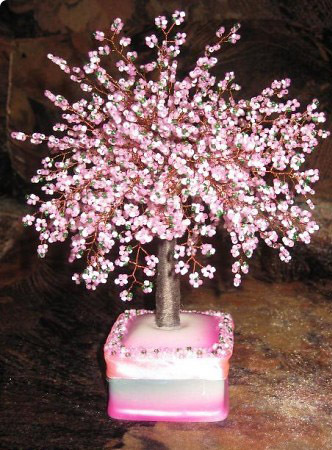 For example, a handmade cherry beaded tree will bring to your home decor oriental notes. 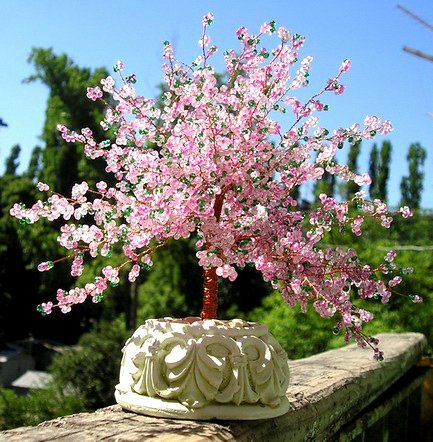 This bright and beautiful as the cherry tree will not leave anyone indifferent. Sakura of beads of all green in my window looks very bright. 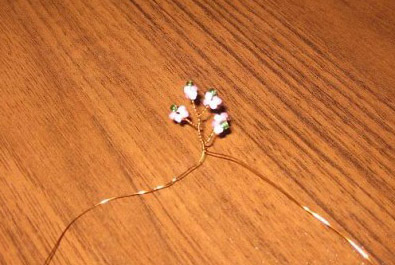 Try it do your own Sakura Bead with your own hands, thereby complementing your interior bright beautiful pink. It is not very easy as it seems at first glance. Beaded Sakura tree such a great thing as cherry blossoms touch your heart and you could be able to enjoy it in any time of year. 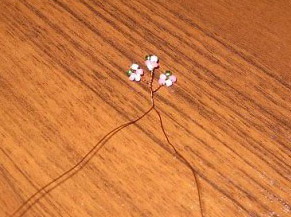 Cut the wire 70cm long. Mix in a shallow bowl beads 3 colors. 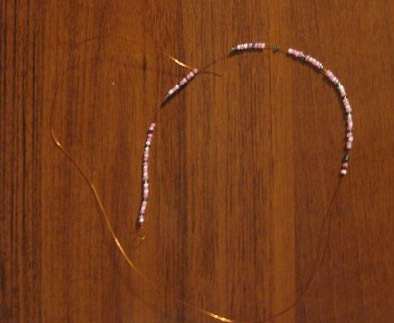 2) Making the first leaf of the 5-beads and twirl several turns wire. 6) Sprig in finished form. 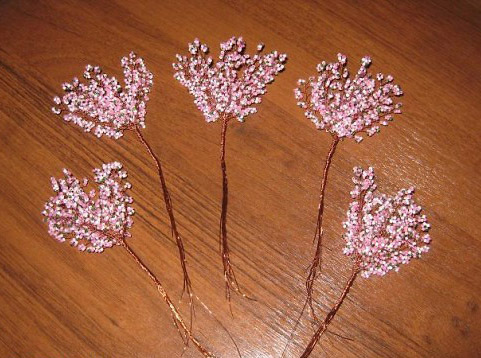 I did twigs to 14-t and 16-t leaves.All the tree should have 60 leaves of branches. 8) Each trunk twigs wrapped with thread, about 3cm. 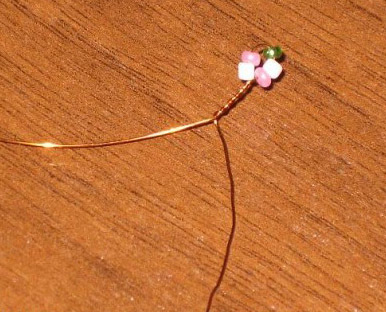 And at the top add a thick wire to form the trunk of Sakura. 9) The top is ready and we combine it with the other branches. 10) Sprigs fix a paper tape on the adhesive-based, you can plaster. Wrap the top thread. Sakura is ready.